It’s no secret that I love bread. In fact, one of my secret wishes is to enroll in the San Francisco Baking Institute. Maybe in another life – since I do live on the East Coast and am quite certain that I won’t be able to get away for the year! 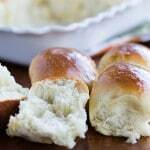 But, I digress – for now, we have these rolls, which were fairly simple to make. If you are pressed for time, I believe you can skip the cold rise and just do a warm bulk rise instead. 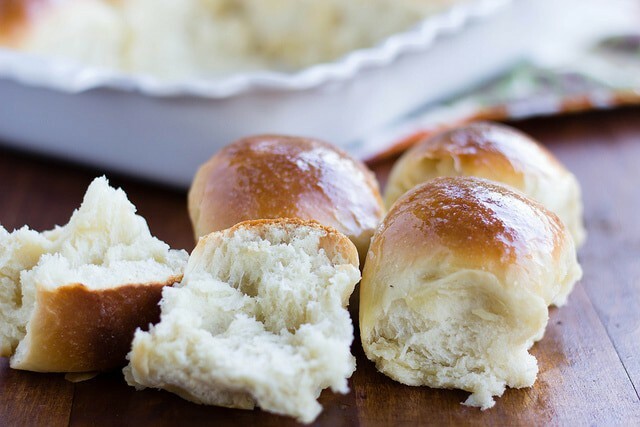 My rolls came out a bit heavy and so I’ve made a note in the recipe to use caution when adding flour and only use enough to form a soft dough that is no longer sticky. In a large mixing bowl, combine 2 cups of the flour with the yeast. Add warm water, potato, 1/3 cup butter, sugar, and salt. Beat with electric mixer on low to medium speed for 30 seconds then beat on high for 3 minutes. Stir in the remaining flour until a soft dough is formed (you may need less flour). Knead the dough for 3 to 5 more minutes. Place dough into a greased bowl. Cover and chill for 3 to 24 hours. Shape into ball and grease and 9 by 13 baking pan. Place balls into pan and cover. 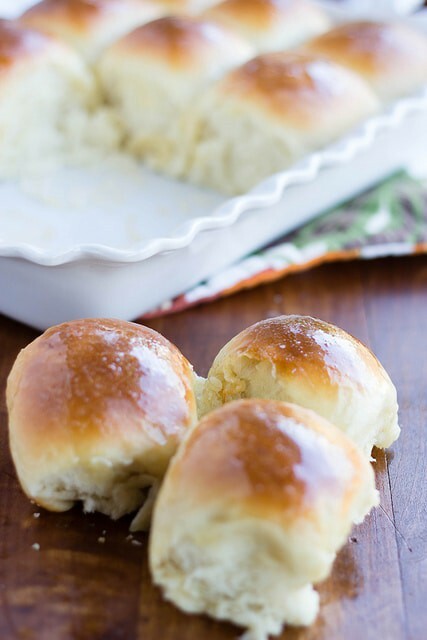 Bake for 20 to 25 minutes, until golden and brush with melted butter before serving.